A rich hydrating cream with a Multi-dimensional Moisturizing Complex that deeply moisturizes, boosts collagen synthesis to restore the skin’s elasticity and provides sustainable hydration for longer periods. Spread the Intense Hydration treatment evenly onto thoroughly cleansed face and neck using gentle circular and upward strokes. Use whenever skin feels dry and patchy to give an instant boost of hydration treatment to the skin. Centriaria islandica (Iceland Moss) With purifying and antiseptic virtues, this lichen from Iceland has an exceptional capacity to absorb and store water in its cells. 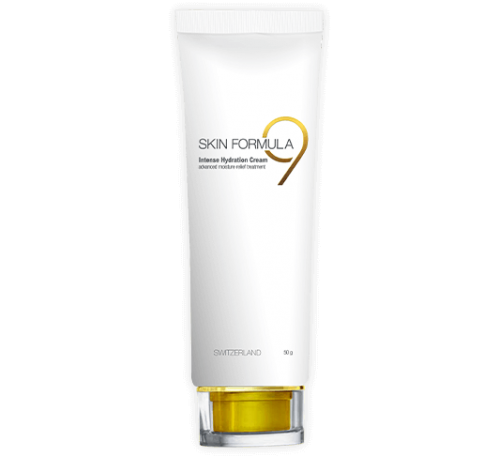 It contains polysaccharides, galactomannans and glucans that offer moisturizing benefits to the skin. Macadamia integrifolia Seed Oil: It is the oil extracted from macadamia nuts and highly beneficial for the skin as it has nourishing, regenerative and skin-conditioning properties. Sunflower and Soybean oil: Sunflower oil contains Vitamin A that prevents premature ageing of the skin. Soybean oil is a humectant and have skin nourishing properties. Both contain Vit. E which is an excellent skin emollient and are non-comedogenic (does not clog pores). Multidimensional Moisturising Complex: A complementary blend of botanical, biotechnological and peptidic actives that act at different levels to offer long-lasting hydration. At the level of the epidermis, the Multi-dimensional Moisturising Complex limits Trans-Epidermal Water Loss(TEWL), helps maintain water in the epidermis, preserves the osmotic equilibrium of the cell, strengthens the barrier function and improves cutaneous irrigation. At the level of the epidermis, it improves structural integrity, epidermal nourishment and molecular communication within the skin. At the level of the dermis, it boosts hyaluronic acid and collagen synthesis for in-depth and sustainable hydration.